The closing date is Friday 3rd November. At Bowsland Green Primary School we deliver the statutory requirements of the new computing curriculum through the South Gloucestershire Computing Scheme of Work. We firmly believe that computing teaching should be meaningful, relevant and cross-curricular in order to prepare children for life in fast paced digital age. The Scheme of work does this through a focus on teaching surrounding programming, data handling, communication, media and online safety. Programming includes coding and computer science and is taught using a range of devices including laptops and programmable toys. Children extend their knowledge of skills of how to use a range of devices as well as developing their logical thinking and problem solving. Throughout the curriculum children utilise ICT in a range of ways to support their learning and encourage them to become independent learners. All children have their own log in details for Mathletics which they can access at home to support their maths skills. This is an area we teach through the scheme of work but also emphasis through all learning using ICT. 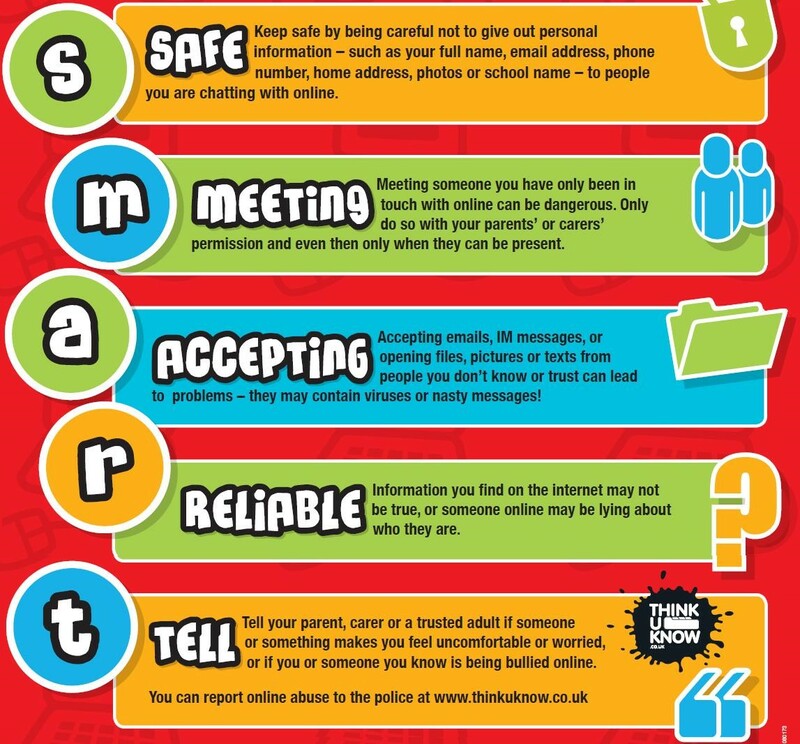 We encourage children to consider the SMART rules as a guide to keep them safe online.